If bone, joint or back problems have brought your life to a halt, count on Commonwealth Health to help put you back in motion. The skilled orthopedic team treats a wide range of conditions—from traumatic and sports-related injuries, to chronic and debilitating joint pain. So whether you want to reclaim your golf game or just walk up your stairs with greater ease, know that skilled orthopedic care is right here. Orthopedic surgeons on the medical staff at Commonwealth Health specialize in total joint replacement, helping bring life-changing relief to those suffering with severe arthritis. 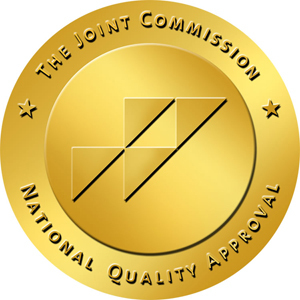 In fact, the hospital has earned the Joint Commission’s Gold Seal of Approval® for hip and total knee replacement, as well as being designated a Blue Distinction Center for these procedures. Find peace of mind knowing we meet the highest, national standards of care, from pre-op education through follow-up care and beyond. 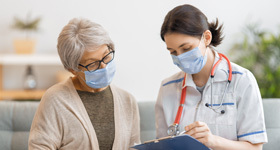 In addition to performing traditional joint replacement, the surgeons at Commonwealth Health use minimally invasive techniques whenever possible, which may allow for smaller incisions and minimal disruption to surrounding tissue. For you, this may mean less pain and scarring; more flexibility and mobility immediately following surgery; and a smoother, faster recovery. Could Joint Replacement Work for You? If you think you may be a candidate, then don't miss our seminars where one of our board-certified orthopedic surgeon will walk through your options, and see if a procedure can help you get back to what you love. Commonwealth Health takes a creative approach to the joint replacement experience. Instead of facing surgery and recovery alone, you’ll be part of a small group of patients who support each other every step of the way. You’ll also participate in daily group physical therapy, where you and your floor mates will cheer each other on — and just may marvel at how far you’ve come in such a short time. Learn more about Commonwealth Health’s joint replacement program and our simple steps to success. Commonwealth Health offers comprehensive care for a wide range of orthopedic injuries and disorders. The skilled team—featuring orthopedic surgeons, physical and occupational therapists, pain management physicians and other specialists — is focused on relieving your pain and returning you to the active life you love. All day, every day, Commonwealth Health emergency room doctors, nurses and support staff are ready to provide you and your loved ones with expert care. As a Level III Trauma Center, the hospital offers rapid diagnosis and treatment for everything from injuries following accidents and falls, to chronic orthopedic conditions and multiple traumas. Get back to your life following an orthopedic injury, illness or procedure with Commonwealth Health’s comprehensive rehabilitation services. We offer inpatient and outpatient therapy at Commonwealth Health—nationally accredited by both The Joint Commission and The Commission on Accreditation of Rehabilitation Facilities (CARF). Therapies are tailored to your unique needs, with an overall focus on relieving pain and restoring strength, function and mobility. If you’re hospitalized after surgery, you’ll work closely with a physical therapist to achieve daily goals and return home with confidence. Facing any surgery can bring some unease—but at Commonwealth Health, you’re never alone on the journey. Our Orthopedic Navigator and Joint Care Coordinator are here to ensure your experience is as seamless and stress-free as possible.